FITNESS CLASSES — Blue Sky Chiropractic, LLC. Classes will teach you how to push, pull, hinge, squat and stabilize. and will also know how to dial things back if needed. Call or e-mail today to take the first step! 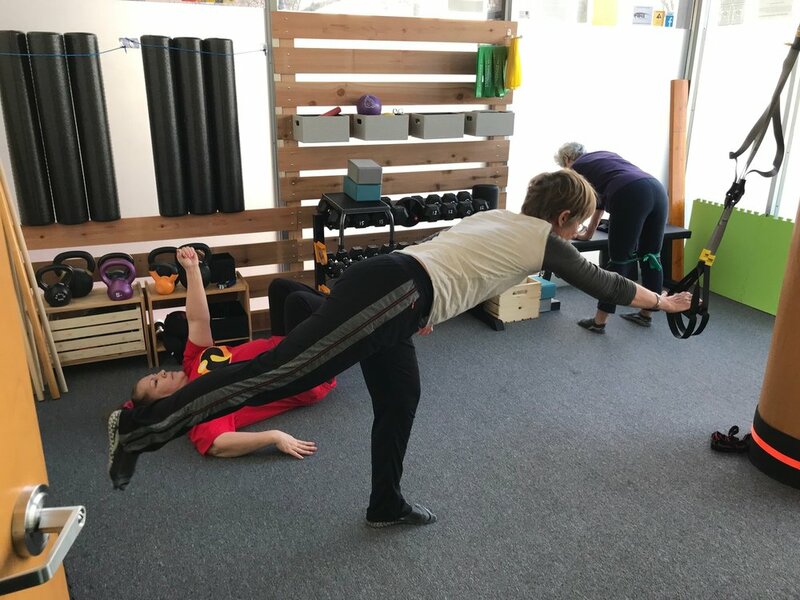 While there are some amazing trainers out there, not all of them have the ability to know when to regress a movement or safely add weight, or know when a particular exercise might cause injury. When I walk around the local gym I often see trainers adding weight to clients’ noticeably poor movement patterns, and it makes me cringe. The number one goal of fitness is to keep being active - without injury! Despite the best intentions of many in the fitness industry, this is often not put into practice. 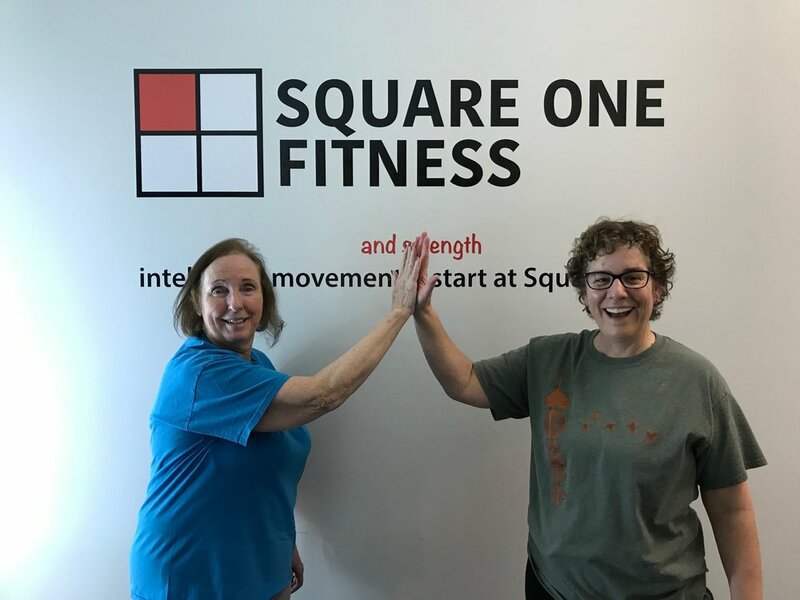 Note: These classes may be appropriate AFTER you have learned how to move well and have built better body awareness (the goal of Blue Sky / Square One Fitness). Note: Some folks may find that after a few months learning about their bodies, and fine-tuning their movements, that they now feel safe to work out on their own. there are three stations - each with a different activity (push, pull, hinge, squat, stabilize). Each student spends three minutes at each station and then rotates. This allows for a variety of movements, and keeps the class fun. Each exercise in the tri-set is scalable. For instance, if a student is having a hard time with a movement, an easier form of the same pattern will be given. If the movement is too easy, some resistance / weight / extra challenge will be added. The idea is that each student is working at a level that is challenging to them, but that they can perform without compensation or pain. Generally, we have time for two different tri-sets, so each class features six separate movements. We usually end each class with some brief agility work. It’s both fun and challenging, and generally results in some good laughs. Every class ends with high-fives for a job well done.